What would you get if you locked Indiana Jones, Plato, and Obi-Wan Kenobi in a room and asked them to write a rousing tale of intrigue, adventure, wisdom, and suspense? Probably something a lot like this book! A lead-off home run to what promises to be the most exciting series of philosophical novels of our time. The Golden Palace is Book One in the new series, Walid and the Mysteries of Phi, an adventure story that begins two hours after the end of The Oasis Within. To purchase The Golden Palace on Amazon, click here. A lone horse and rider dashed across the bleak landscape. By the calendar, it was 1934. But from a look at the sand and sky, it could have been almost any time. The sun was well along its silent morning rise. Its heat would soon slow their progress. But for now, the man and his strong companion were straining to cover as much distance as they could. Their task was urgent, and speed was required. The rhythmic thuds of pounding hooves tossed wild sprays of sand into the air as Bancom al-Salabar urged the horse on through the endless dunes and the few outcroppings of rock that marked their path to the still faraway city. Bancom’s robes pressed against his back and flapped with loud pops and cracks. Even the desert wind seemed to push them toward their destination. This horse and rider were racing an invisible clock that marked the hours and minutes rapidly vanishing between them and the meetings on which everything would depend. Even a moment too late, and all could be lost, with many good people removed from the world and the kingdom’s best hope extinguished. To Bancom’s relief, the air in the desert that day was a bit cooler than normal for this time of year. It was still hot, but not oppressive. After a short break around noon to rest, eat a little fruit, and drink from his small ration of water, he quickly remounted and continued to ride with the wind howling at his back. He had to get into the city as soon as possible. What could take three days by camel, he needed to accomplish in half that time. There were vital messages to deliver and men to set into motion many months before they had expected certain dramatic events to unfold. The time available to him passed like a handful of sand through widespread fingers as he now rode on. Suddenly, he glimpsed up ahead in the distance what appeared to be five other riders on horseback. In this part of the desert, they were almost sure to be bandits. Most journeys across this wasteland were made with a reliable camel. Merchants, adventurers, and local tribesmen all depended on these slower animals for their regular conveyance through the ever-shifting dunes. By contrast, thieves always rode fast and strong horses they had typically stolen, or purchased with purloined gain, in order to hit unprepared travelers quickly, take their money and treasure by force, and then disappear. Bancom had a single small weapon tucked into his belt for protection, something easily concealed that would not arouse suspicions or provoke concerns when he arrived in the city. It would be no match for five heavily armed riders intent on intimidation and forcible theft. But it was the only obvious defensive tool he possessed. The riders were approaching at an angle that would allow them to intercept him within minutes. And he couldn’t turn back. The time for his mission wouldn’t allow it. In any case, he was now many hours away from the large oasis where his race with destiny had begun, and even farther from his friends, who had already left their campsite by a different route, to the south, in order to evade anyone who might come looking for them. He couldn’t veer much off the path he was on. And it was unlikely he could outrun all the horses of so many thieves, which were always chosen precisely for speed and power. Even if he could evade the riders and stay ahead of them, he surely wouldn’t be able to outpace their bullets. There was really no way to avoid the looming situation, no escape route available to this man whose task was so important to all his friends, ther cause, and the future of the entire region. He had a bit of money in some small bags, in case he had to buy the silence or assistance of anyone he encountered along the way who might otherwise be of hostile intent. But it was nothing compared to what these men would want. 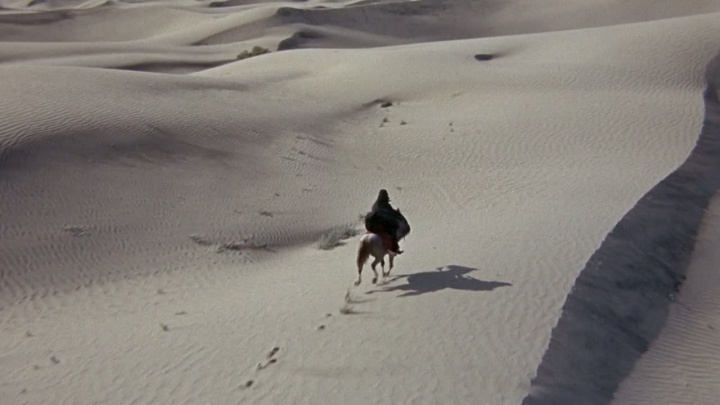 Most likely, they’d take the horse as their prize and leave him alone in the desert to die, or else they’d simply end his journey, his mission, and his life, with a single shot, on the spot, before making off with their plunder. Bancom was a well-trained fighter, and was prepared for almost anything, but he didn’t like these odds. In that moment, he focused his mind on what he would need for any chance of survival. The words of a legendary warrior and good friend, Masoon Afah, then echoed in his head. It was as if he could hear the man’s distinctive voice say, in a calm and deliberate tone: “Prepare and Perceive; Anticipate and Avoid; Concentrate, and Control.” Masoon called this “The Triple Double for Dealing with Trouble” – and his formula, or “toolkit of wisdom,” as he often put it, consisted in three pairs of actions that could make all the difference between life and death. Prepare and Perceive. Bancom’s preparation for a task and time such as this had taken many years. Like most of his close companions, he was a master of mental and physical strength, a well-trained warrior prepared for almost anything. And in this moment, by calling to mind his friend’s advice, he was already beginning to follow it in ways that the situation demanded. His specific preparation for the upcoming trouble was now underway. And his perceptions were unusually keen. He was mindfully aware of everything around him. He had noticed these oncoming riders before most other men would have, at a great distance, their images still tiny and distorted by the heat rising from the sand on even a relatively moderate day like this. He knew how to observe, and what to look for, in the nature and movements of a potential adversary. Anticipate and Avoid. He was already anticipating various scenarios of what might happen, and none of the options he envisioned was promising. It occurred to him immediately that the best way to have any chance to avoid sudden violence on the spot might be to present himself as a fellow bandit, the sole survivor of a recent, unfortunate skirmish with a nearby armed tribe. He could say he was now looking to join up with a new band of marauders and lend his military skills to their own opportunistic endeavors. This was the only tactic he could think of, but somehow it didn’t seem right. He needed to find another path for avoiding the consequences that now threatened. He had to concentrate his mind on what might be required at each moment coming up, and seek to control himself and the overall situation in any way he could, with calm confidence and resolute courage, keeping in mind his mission on this day. Of course, as Masoon had also taught him, every action that would ready him for a dangerous challenge had to represent an ongoing stream of repeated behavior. Bancom was even now preparing himself in various additional ways, and continuing to perceive every aspect of his developing situation as carefully as possible. He was monitoring his horse, the surrounding terrain, and the oncoming riders with care, while he galloped on as if nothing unusual had been noticed. The inner act of anticipation was never to be neglected, as any threat might subtly change, moment-to-moment, and possible avoidance tactics should be rethought, depending on the evolving contours of the situation, along with the promptings of intuition. Concentrate and Control. Clear danger can actually focus the mind. Great jeopardy can bring great clarity. An imminent threat of major scope can even slow our experience of time, oddly broadening out the horizons of the present moment so that we have more mental room in which to register, reason, and respond. Many of us have a natural ability, an unconscious reflex that kicks in without our intentional contrivance, to rise above the immediacy of what seems to be an unfolding personal disaster of the most extreme sort, and to view it with a strangely calm, almost anesthetized emotional detachment that can’t be imagined by someone who’s never been in such a situation. This is a tremendous gift, and it can often be used to great purpose. A further gift not suspected by most people is that a well-trained mind can create a kindred experience of emotional calm and enhanced mental space at nearly any time, and use the unmeasured, elastic gaps between moments as allies for dealing with any difficulty, however small or severe it might appear to be. We can give ourselves this gift whenever nature alone doesn’t provide it – a fullness of time and space sufficient for dealing with what we confront – but only if we’ve skilled ourselves well in its creation. It’s within the inwardly expanded moment that great things can be initiated. There was no doubt about it. Bancom was unusually skilled in this, and he thought of himself as such. Plus, his concentration was complete. He was, at the moment, still in control of his emotions, and was not allowing the worst-case scenarios running through his head to elicit the reaction of mind-numbing fear that could overcome him more quickly than any adversary. As Masoon had often said to him, “Most battles are won or lost in the mind before their results become visible in the world.” And that was a man who spoke from a vast experience of winning, while others lost. As everyone knew, Masoon’s mind was a stronghold of surprising power. And now, due to his effective mentoring, so was the mind of this messenger. “It’s a message.” Bancom remained calm and firm. Two of the men turned to each other and smiled. Never had they come across anyone who would be so daring in the face of their number and their weapons in a situation like this. Such a man was either crazy, or greatly to be respected. ....... What happens next will surprise you and launch the rest of the book in an unexpected way.